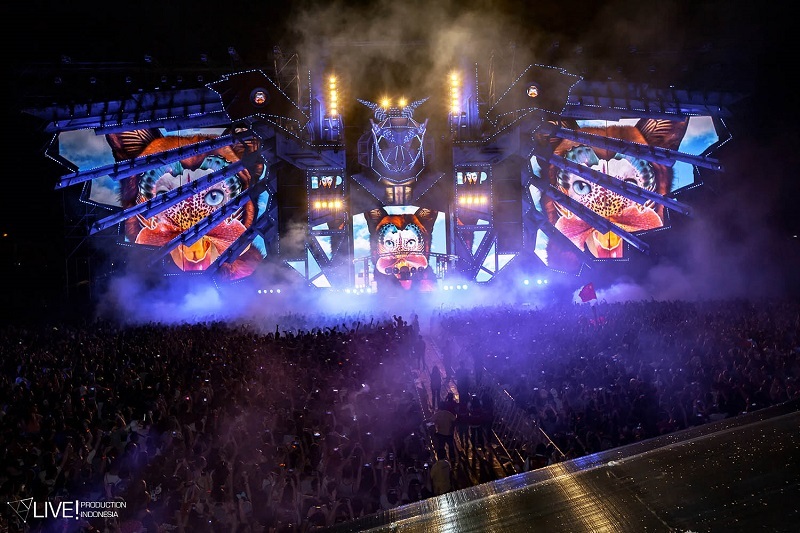 JAKARTA, Indonesia – A Clair Brothers speaker system has been deployed for Djakarta Warehouse Project (DWP) EDM event. This now famous EDM event, known as Djakarta Warehouse Project (DWP), began humbly in 2008 as a dance club event by entertainment company, Ismaya Live. A hit from the start, the event moved to the Djakarta International Expo (JIExpo) in 2014 and has blossomed, with Clair Brothers as an indispensable ingredient, into an all-out festival that spans two whole days. In 2015, DWP was crowned ‘The Best EDM Festival of 2015’ by EDM Sauce. Today, DWP is Asia’s second largest two-day dance music festival, boasting more than 90,000 attendees in 2016, with an estimated 20,000 travelers from 39 different countries each year.